We all have that one friend. The one who, no matter what horrible things you do or say, no matter what vile rumors have been started about you, he or she will always remain loyal. It’s a bad sign when even that friend stops answering your calls. A really bad sign. And when that friend is actually your grandfather, the one who gave you your start and made you who you are, when even he says “enough is enough,” surely that’s a clear signal that things have got to change. That’s got to be something like what the board of ExxonMobil must be feeling in the wake of the announcement that the Rockefeller Family Fund is immediately divesting from the oil giant, citing “morally reprehensible” actions in light of climate change. Pretty harsh words from the main fund of the family dynasty whose fortune was built on the rapaciousness of Standard Oil at the turn of the last century. 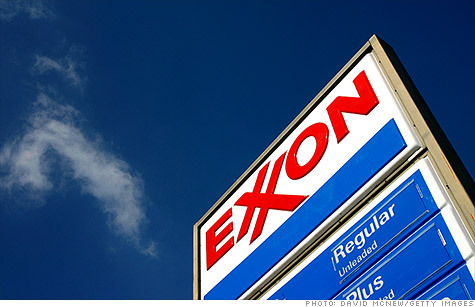 Exxon tried to spin the move as somehow expected, and attempted to pivot by pinning the blame for the move on a recent report detailing the company’s chicanery regarding climate change. “The Rockefeller Family Fund provided financial support to InsideClimate News and Columbia University Journalism School which produced inaccurate and deliberately misleading stories about ExxonMobil’s history of climate research,” according to an ExxonMobil statement. And the very bad news continued for the company with an SEC order that the company must have a vote on a shareholder resolution that would require the firm to disclose how climate change and/or climate change regulations might impact the company’s finances. It’s surely too much to hope that this is the beginning of the end of Big Oil, of course. But isn’t it great to hear of something, anything not going their way for once? Pass the popcorn. This could get good. Monsanto: Lower Profits, Lower Earnings–High Pressure From Consumers Works!